This past weekend marked annual Tartan Day which is a North American celebration of Scottish heritage. In Ottawa, the day was marked by a range of festivities on Parliament Hill. 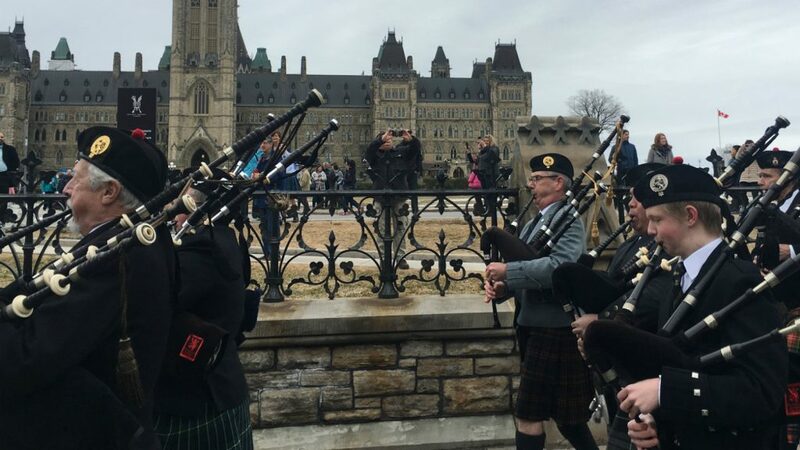 On April 7, the Sons of Scotland Pipe Band marched from the Lord Elgin Hotel to the Centennial Flame, where they hosted a celebration of highland music and dancing. There were performances by a student choir from Ottawa’s Catholic School Board and more than 200 spectators joined in. Although the day commemorates Scottish culture, the event was a chance for people in the city to celebrate local community.